Dave Wessels has backed Quade Cooper to burst back into the World Cup mix. 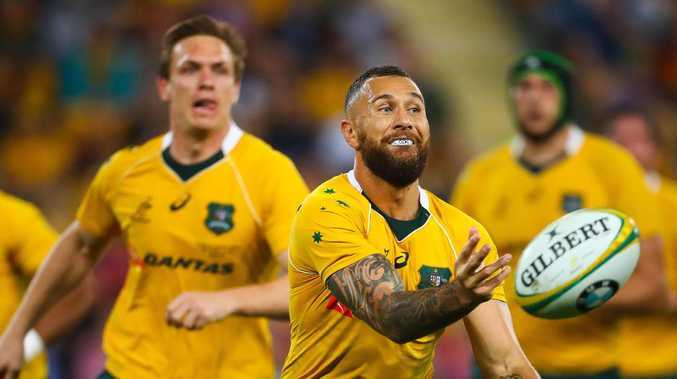 MELBOURNE Rebels coach Dave Wessels believes a season out of Super Rugby has been a good thing for their star recruit Quade Cooper and that he challenge for a spot in the Wallabies' World Cup squad. Unwanted at the Reds for the past 12 months, Cooper will start training in Melbourne on Monday in an attempt to re-ignite his Wallabies career ahead of next year's Rugby World Cup in Japan. Rebels coach Dave Wessels said he wasn't concerned about the 30-year-old playmaker's lack of recent top-level football after a long career that included 70 Tests and 119 games with Queensland. "Quade's really been playing for the better part of a decade pretty much full-on, without a break," Wessels said. "This is the first time his body has had a bit of a breather and I think both mentally and physically that makes a difference and when you talk to him it's obvious he's got a real energy for the game. "My gut feel is that the time off has been really good for him." Wessels said Cooper still had the talent and ability to play a part in the Wallabies' World Cup campaign, as long as he worked hard. "A talent like his deserves to be playing at the top end of the game, but the only person who is going to change that now is him," he said. Dave Wessels led the Rebels to their best ever Super Rugby result in 2018. "I think if he's in the mind space to come and work hard and put the effort in he's certainly got the ability to be at the World Cup. "What's been so refreshing in my conversations with Quade is just his appetite to work hard over the next couple of months." The Rebels have lacked an elite No.10, most recently using Jack Debreczeni, who has signed with the Chiefs, in the role. 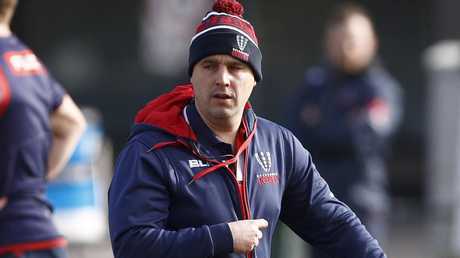 Wessels said the reaction from his players towards Cooper's signing had been all positive. "I've spoke to a number of senior players who know him well like Will (Genia), Dane (Haylett-Petty) and Reece Hodge and they've spoken very positively about him," the coach said. "I've also had some calls from people who have coached him or know him well and they've described him as a real gem."